 Kitchener Oakland is a fully-operating commercial kitchen for startup food businesses to cook and grow in. Our affordable rate model and strong emphasis on cooperation helps nurture food entrepreneurs from fledging to flight in a safe, creative, and low-risk environment. We handpick the artisans who cook out of Kitchener - we look for micro to small food entrepreneurs who pay particular attention to using local, organic and/or sustainable ingredients as a basis for their food craft and who are conscientious about supporting the local food economy. However, what is more important is that we host micro food artisans with a desire to be helped and to help others. Several times a year, we showcase our artisan's food through our pop-up markets and open houses. And in late 2017, we'll be unveiling our Kitchener Snack Bar - a rotational take-out window showcasing Kitchener businesses. It's through these markets and the Snack Bar where artisans get to interface and connect with the community which supports them.